Step into the internet’s diet section, and you’ll find thousands of people proclaiming the value of a ketogenic diet. You’ll see just as many progress pictures showing off its effectiveness, and with each image, a testimonial to keto’s numerous physical and mental health benefits. If you want to experience a similar renewal, all that’s left is to find out how to begin. Before you start, you need to figure out what you’re trying to achieve. The quickest way to understand the ketogenic diet is to focus on two things: the right food, and the proper ratios. The goal of adjusting what and how much you eat is to change the way your body works. Usually, your body consumes carbohydrates for energy. What you want to do is to reduce the volume of carbs you eat, thereby provoking the body to break down fat for fuel instead. This process is called ketosis, and entering and staying in it is your primary goal. While each person’s specific keto diet plan will change, what doesn’t change are the ratios. Your daily intake should consist of 70% to 80% fat and 20% to 25% protein, with the rest going to carbohydrates. What Should You Start Eating? Primarily, you want to focus on low carbs and high fats. That means stuff like bread and rice are off the table unless they’re heavily modified. You’ll want to add a lot more bacon, avocados, and butter to your diet. However, that doesn’t mean you can go whole-hog on the fats. Everything must not only be in proportion, but it also must be of high quality to ensure you’re still getting your daily nutritional requirements. You want fatty cuts of meat to ensure your proportions aren’t thrown off, as well as whole eggs. Some may have issues with feeling less satisfied after a meal and will need to replace all those lost carbohydrates with low-carb vegetables. Spinach, onions, and cauliflower can all provide a feeling of fullness and keep you from binge eating. What Foods Can Throw Off the Entire Diet? A few things that are safe on most diets are on the ketogenic dieter’s must-avoid list. These include anything with grains, most fruits (which contain too much sugar), and high-starch foods like potatoes. Ideally, you’ll want to make the majority of meals by yourself. Eating out can be okay, but you don’t always know what menu items contain added sugars or carbs that may bump you out of ketosis. One of the most significant hurdles for many keto novices is the protein issue. Although protein is part of the plan, if not checked carefully, it can undermine the whole point of the diet. When your body lacks carbohydrates, it will start eating protein or fat, whichever there is more of; if you eat a lot of protein, your weight loss will cost you muscle mass instead of fat. How Do You Know If the Diet is Working? Being strict with your macros isn’t enough. That’s like thinking you know everything after one study session. As schools test you to make sure you know what you studied, you need to check your body now and then to make sure it’s in ketosis. You can check your ketone levels through your breath, blood, and urine. Any of the three can work, but blood testing is the most accurate. If you find that you’re not in ketosis, you can adjust aspects of your diet or habits to get back into it. What Can You Do to Speed Up the Process? The sooner you enter ketosis, the sooner you can start reaping the ketogenic diet’s benefits. One of the best ways to speed up the process is to engage in a modified form of fasting. Most elect to combine the ketogenic diet with intermittent fasting, taking in all their food in a six-hour period and then fasting the rest of the time. What Should You Be Wary Of? One of the first things you should be wary of when it comes to the keto diet is that entering ketosis can cause you to suffer from flu-like symptoms. This episode can last two days or two weeks, depending on your body. The good news is that it’s a natural part of cutting out carbohydrates and the symptoms are manageable. Taking in more electrolytes and staying well-hydrated will help to mitigate or at least shorten the episode. Another concern is that many dieters don’t eat the right kinds of fats. Transfats and saturated fats can increase your odds of developing heart disease and high cholesterol, so make sure you’re only consuming healthy fats. Also, a poorly planned diet may get your macros in order, but not give you important nutrients and vitamins. 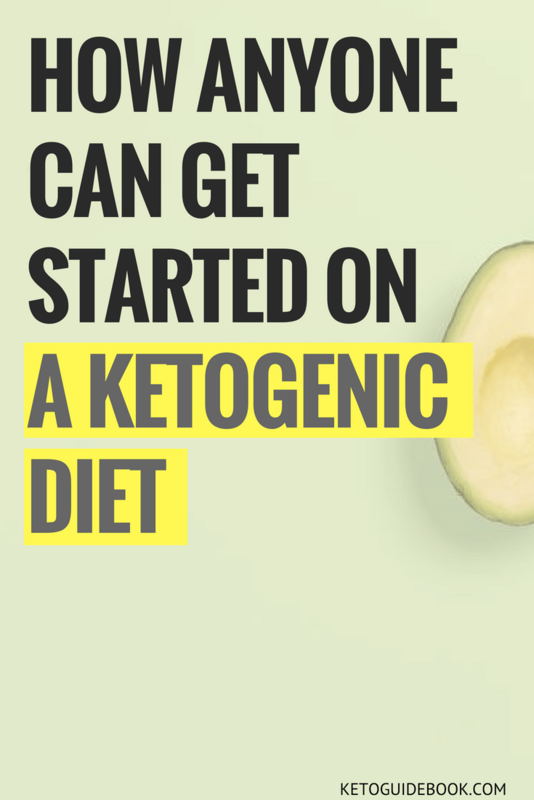 A ketogenic diet has numerous benefits for both mind and body, but only if done correctly. For many people, the drastic change in diet is a massive challenge. But if you stick to it, you can make your life a lot better — and eat more bacon. P.S. Have a look at The Keto Guidebook . With 270+ easy-to-prepare keto recipes, meal plans + shopping lists. It has the tools to let you reset your body, lose weight and start feeling great. Get your copy of “Keto Guidebook” and start transforming your life. Get Your Copy Today!